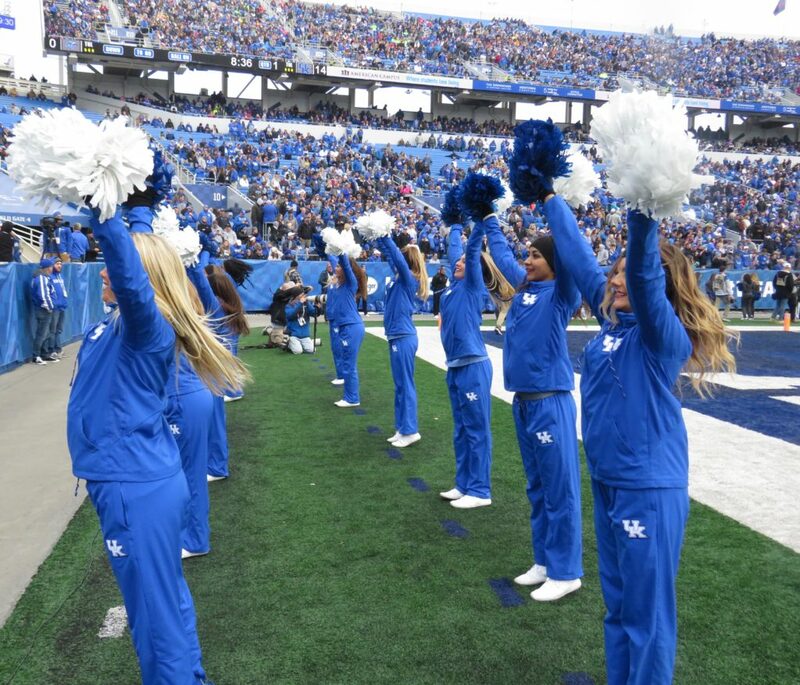 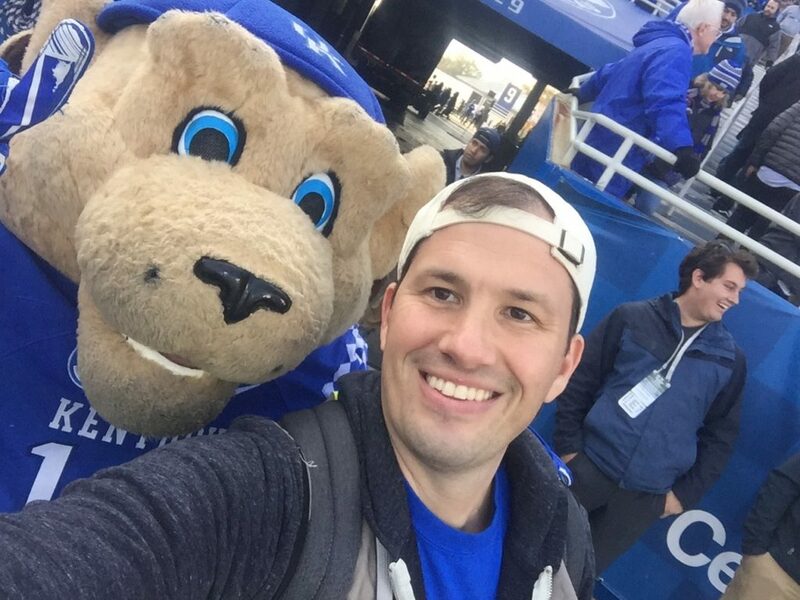 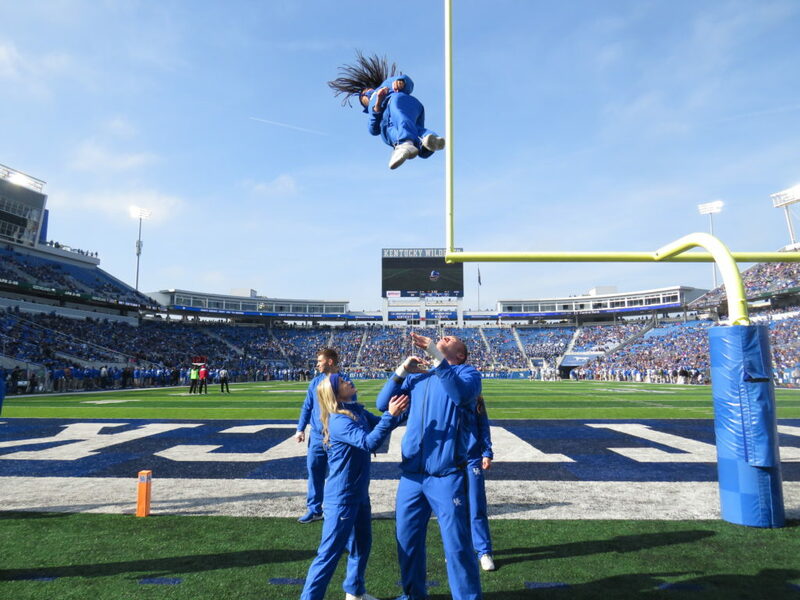 Big Blue Nation gathered on a sunny November day to cheer on their Wildcats. 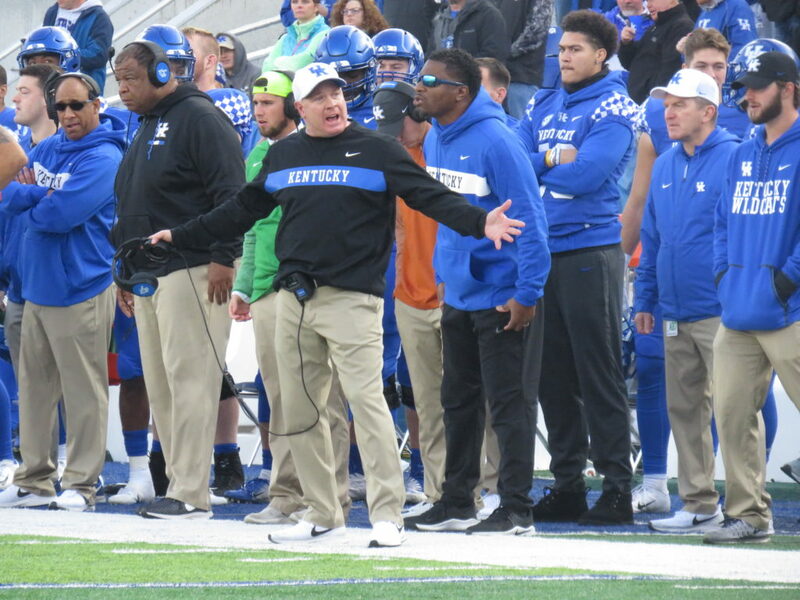 Coach Stoops greeter seniors that stuck with a program through some turbulent times. 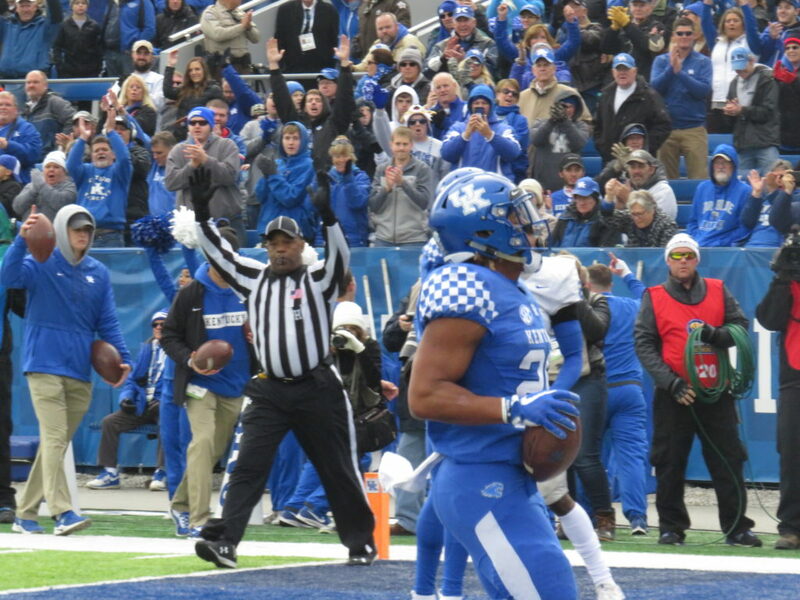 A win today would boost their wins to eight, a regular season mark not reached since 1984. 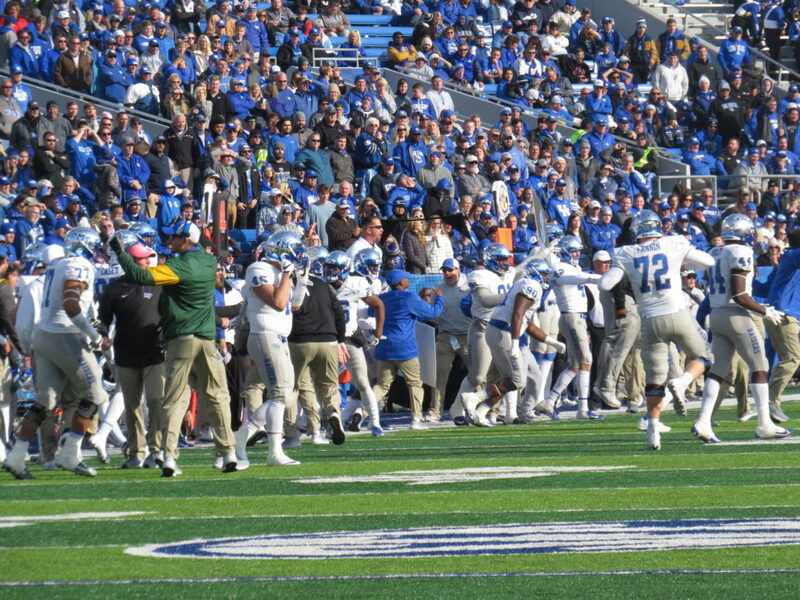 There was a bit less juice in the crowd with the loss to the Bulldogs and Volunteers. 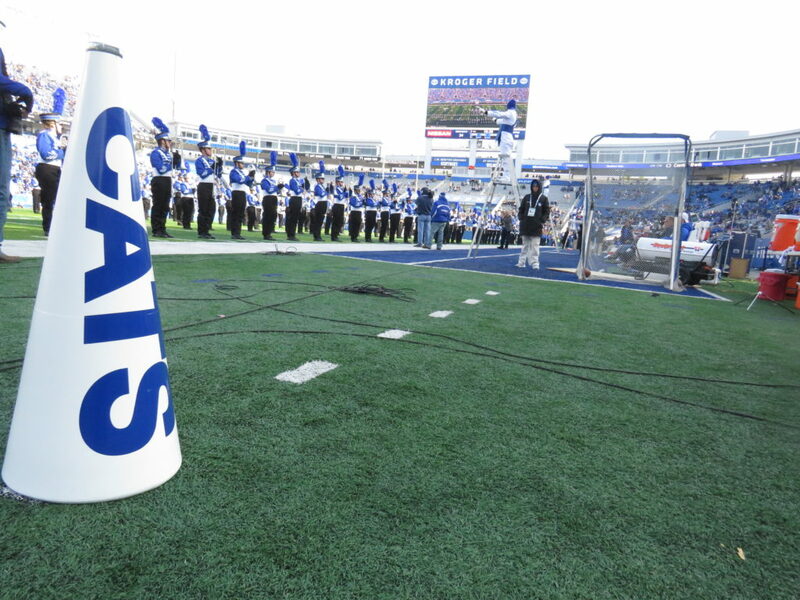 Disappointment kept a sellout from occurring. 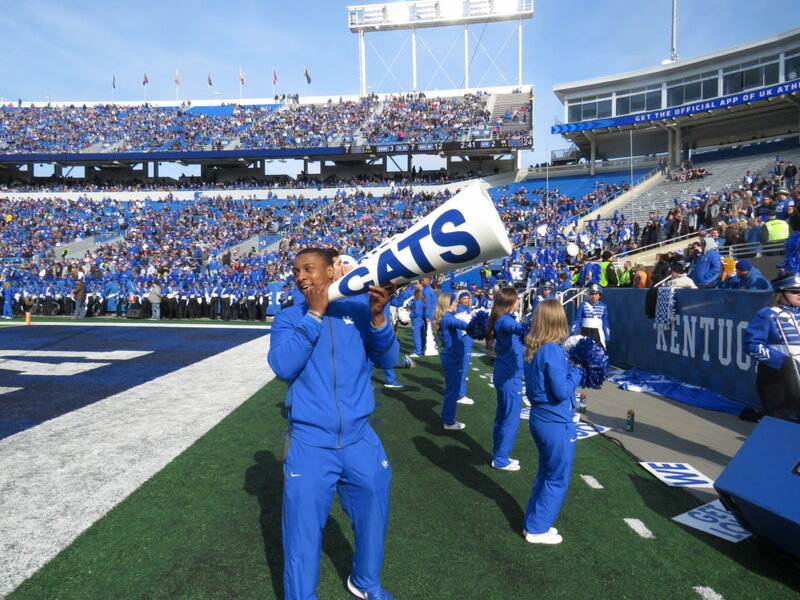 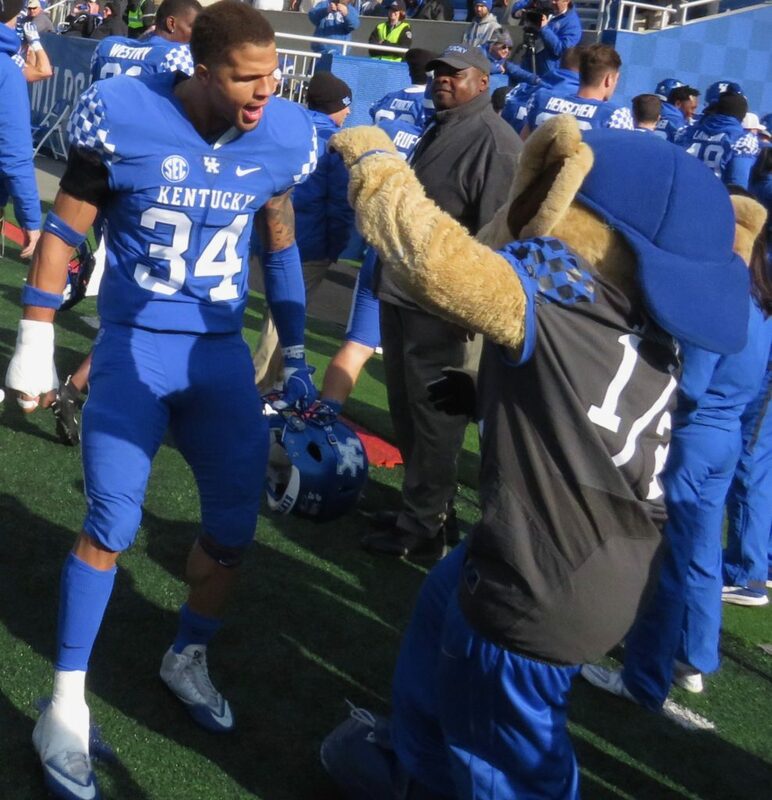 But, that didn’t damper the pregame Catwalk which gave fans the chance to send good vibes to their favorite seniors. 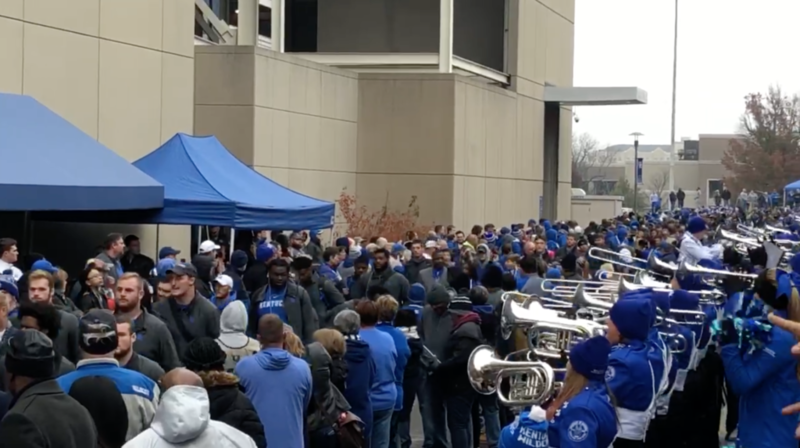 The emotional tribute to these players continued as the crowd sang “My Old Kentucky Home” in unison with the players. 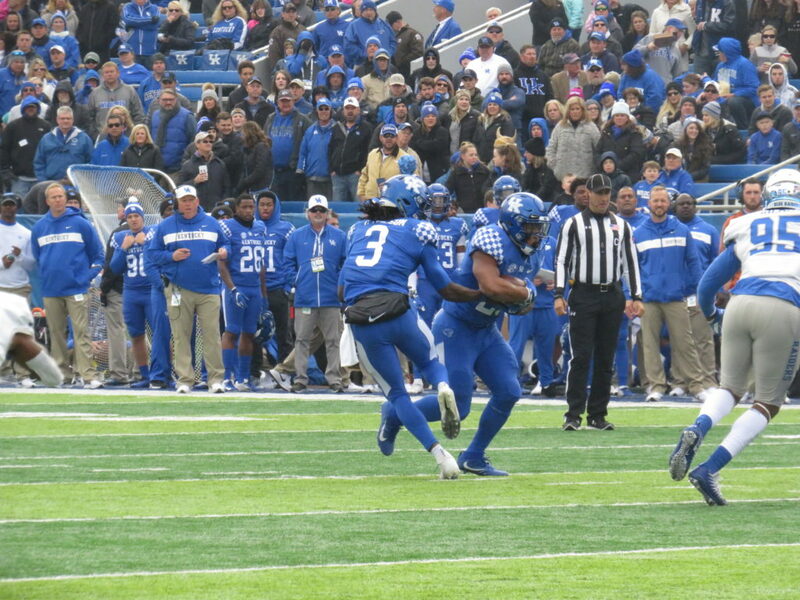 The game got off to a fast start with Kentucky returning an INT for a touchdown and quick lead. 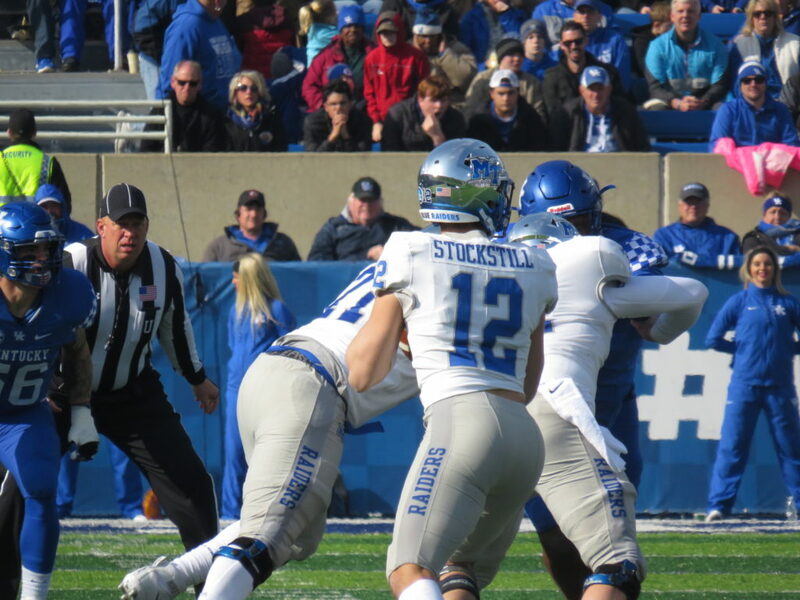 Benny Snell, Jr., the Wildcats’ dynamic running back, kept the offense humming, while the defense kept MTSU QB Brent Stockstill in check. 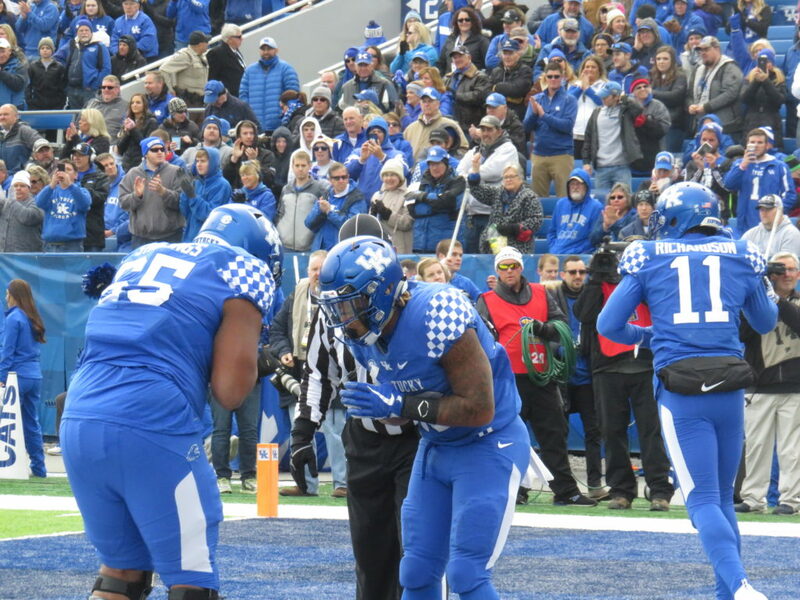 It was the defense, led by key seniors, that put the game away. 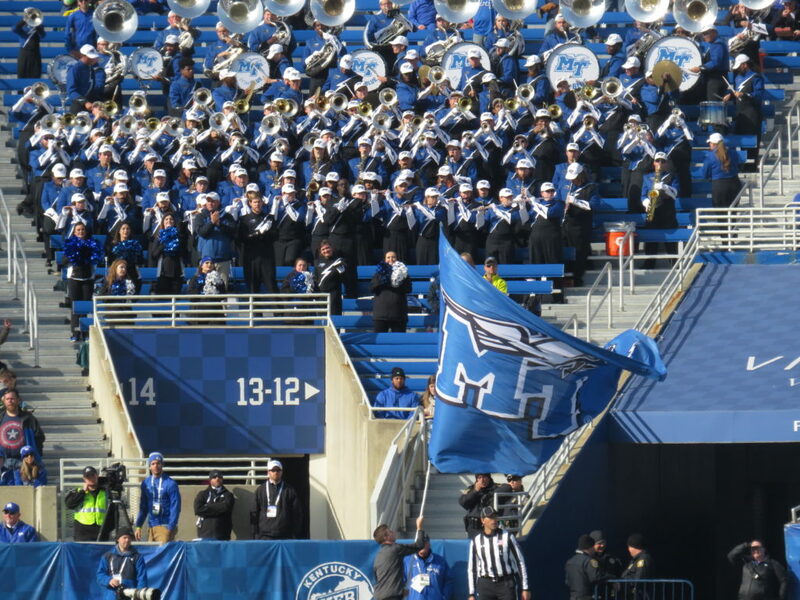 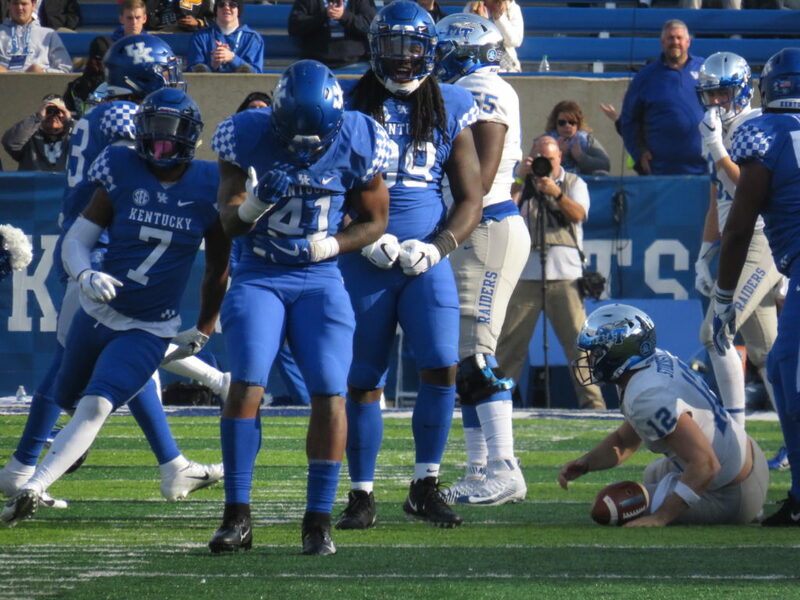 The Blue Raiders began clawing back before the Wildcat defense clamped down and secured a 34-23 victory. 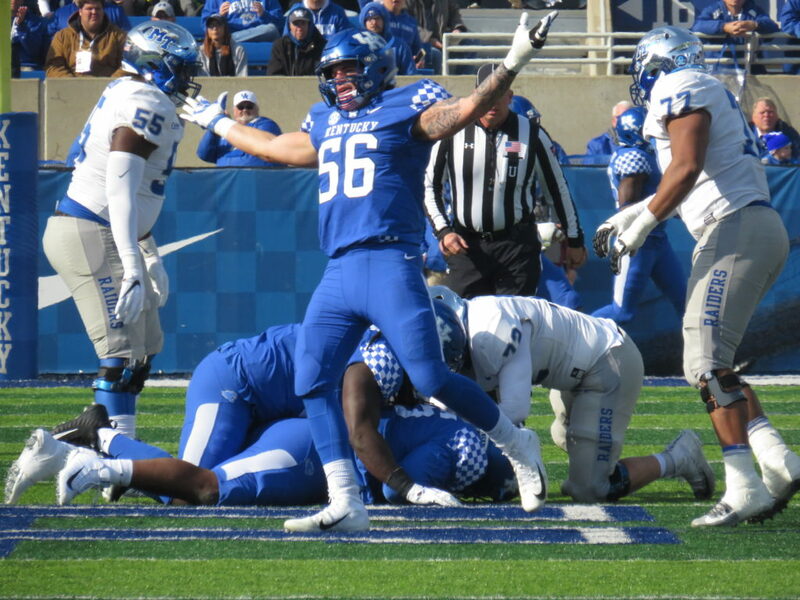 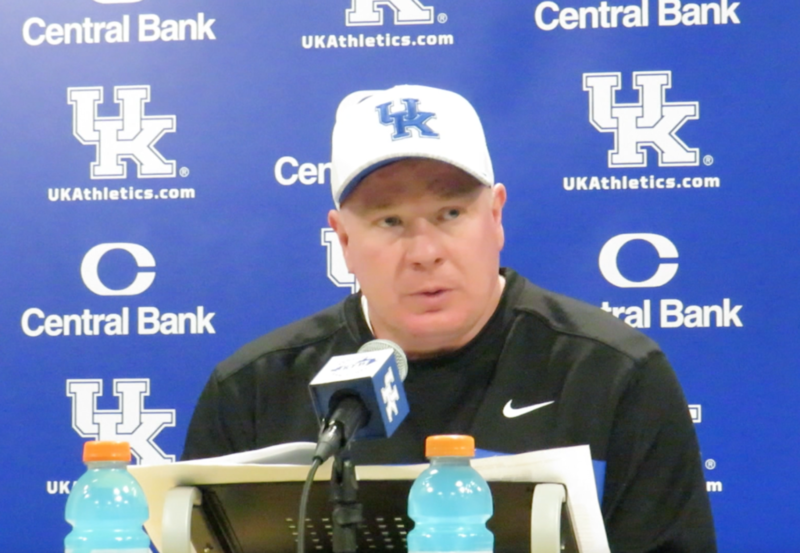 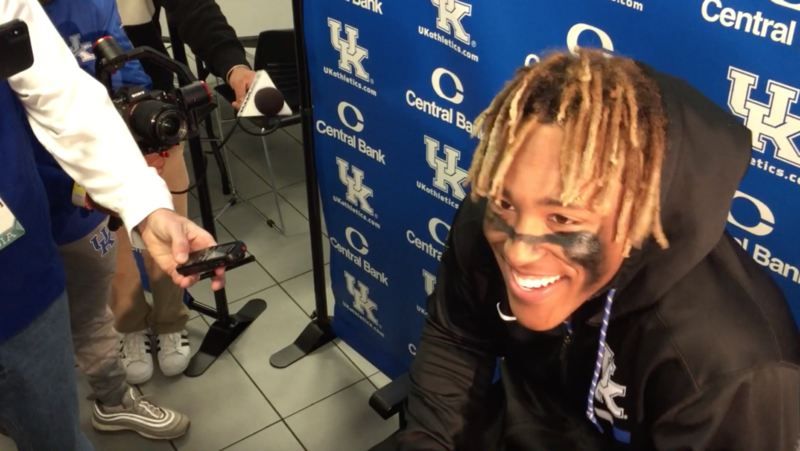 Postgame interviews highlighted a relieved Coach Stoops, a few frustrated players complaining about crowd apathy, and Benny Snell, Jr. being inundated with NFL inquiries. 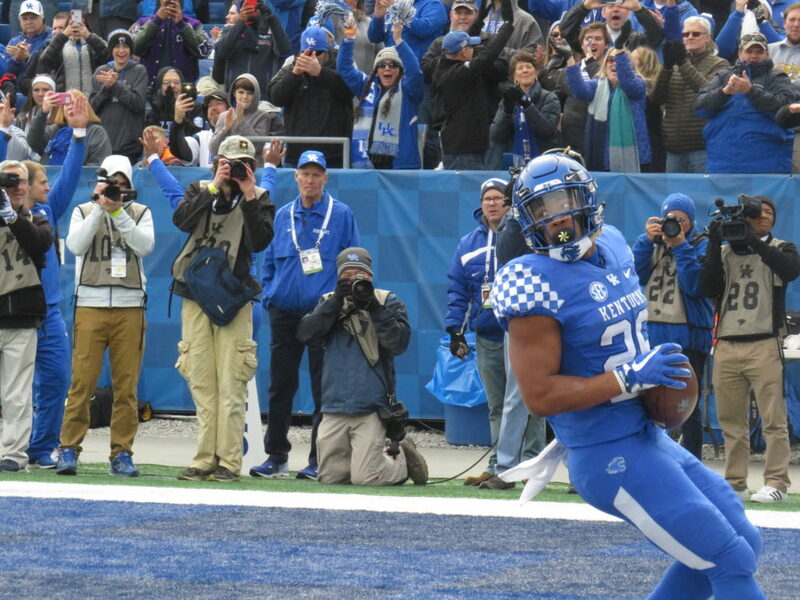 It all means that expectations have risen for Kentucky football, and the future looks bright. 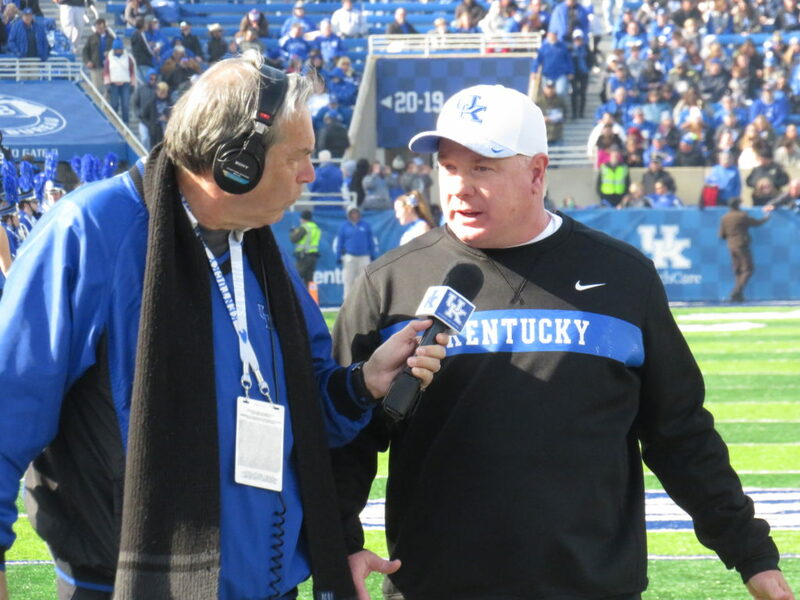 Coach Stoops interviewed at halftime. 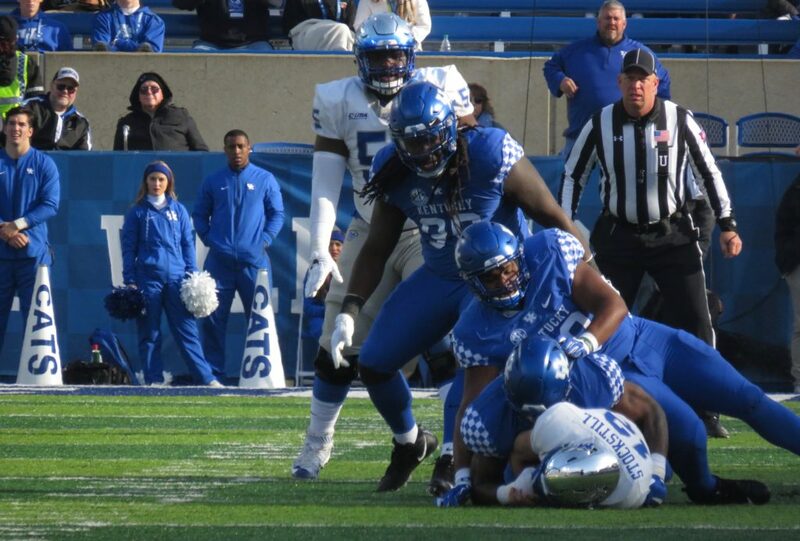 Snell pays respects to his blockers.